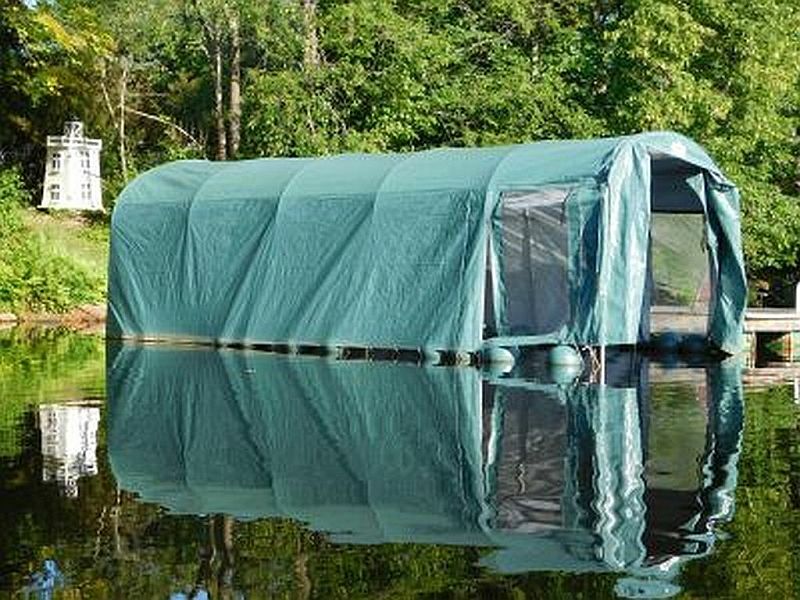 New price on a Continental and a floating boat house for sale. Chris-Craft Continental: 20 ft., 1955. 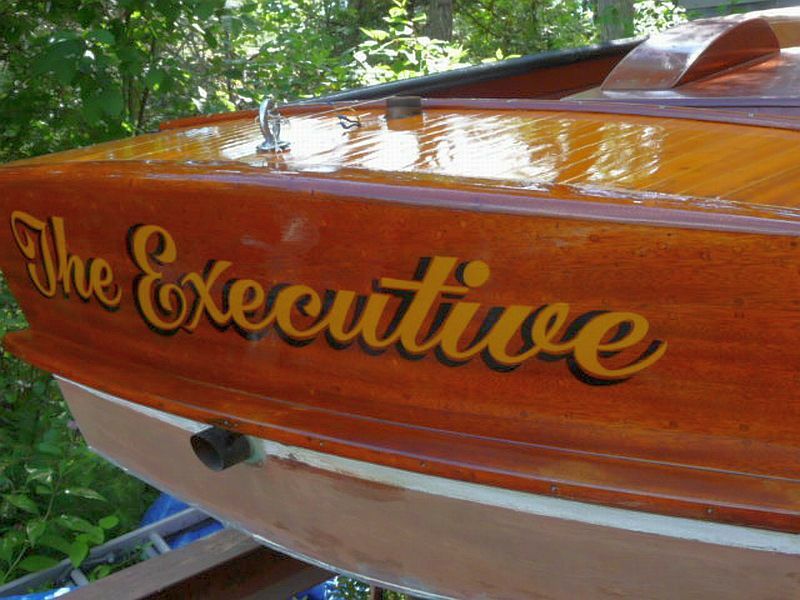 We have been instructed by the owner to reduce the price of this Chris-Craft to $16,500. Please see notes from the owner and additional photo below. 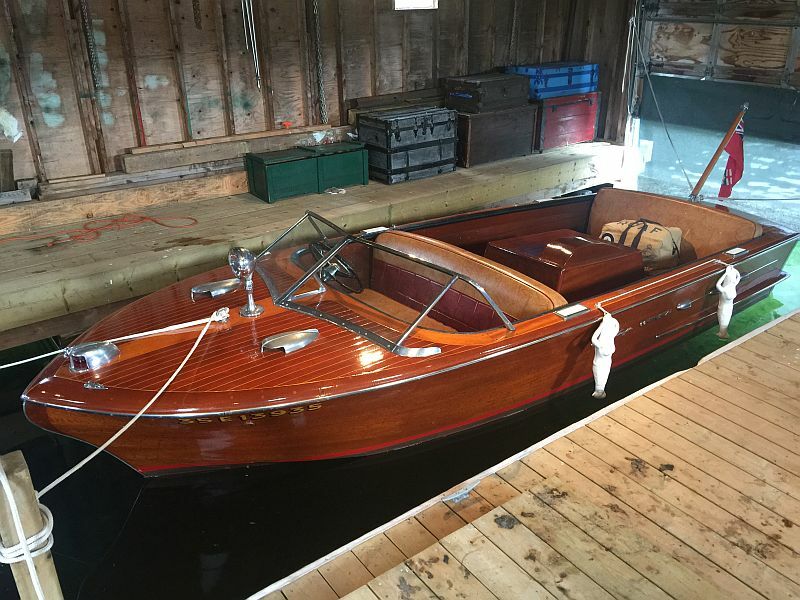 This 1955 mahogany Chris-Craft was located in a neighbour’s dry (dirt floor) boat house in 2012. It had been in storage for twenty years! 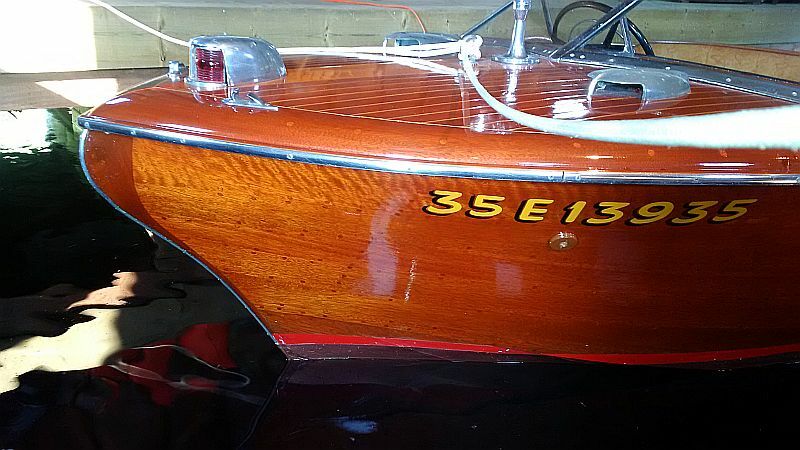 The boat was wet sanded, re-varnished and all the chrome was re-polished. 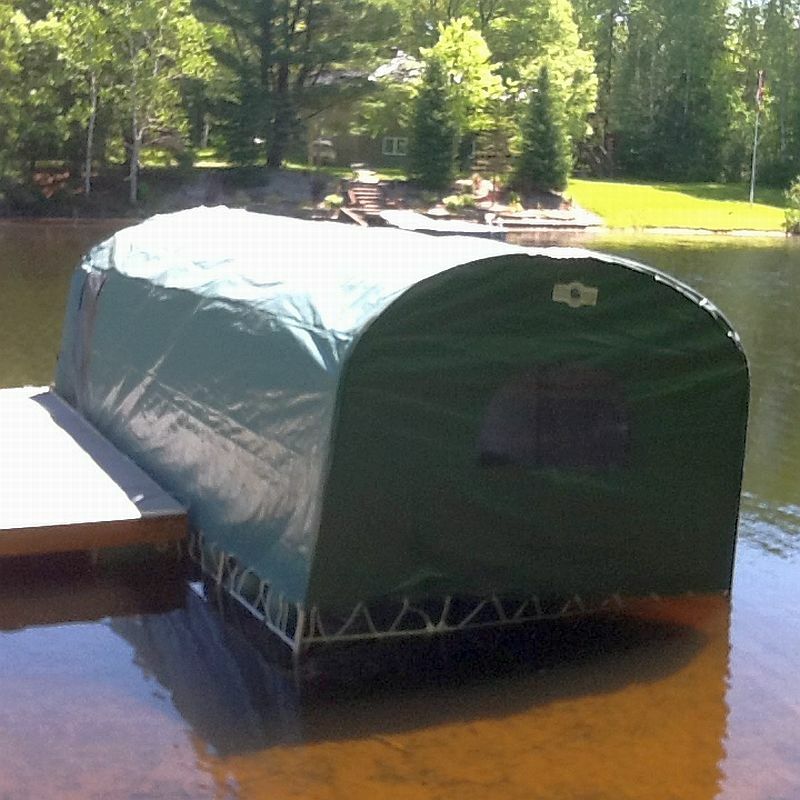 The Continental has always been boat house stored and offers strong wood in great shape. 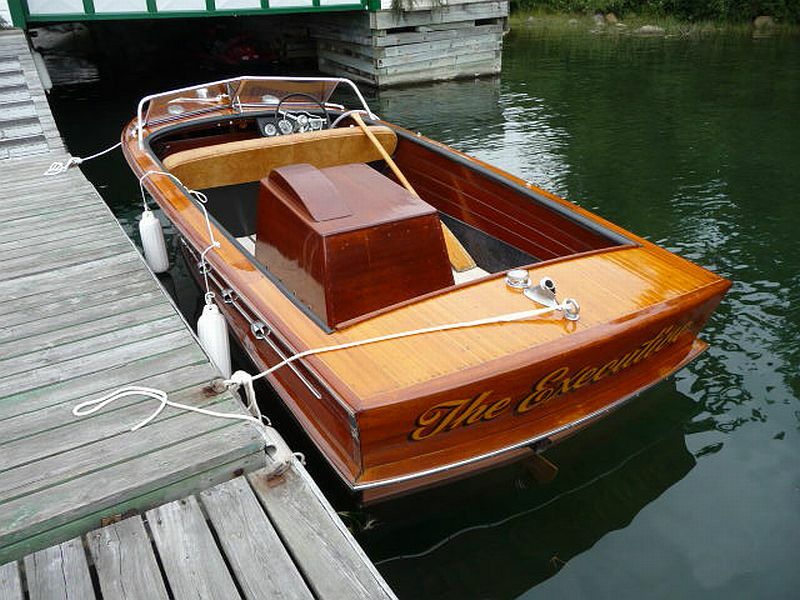 The boat runs really well…a fast 28 mph+, powered by a 6 cylinder 120 hp Hercules with three carbs. The engine has been converted to a twelve volt system, so it starts easily. An automatic bilge pump has also been installed in the boat. 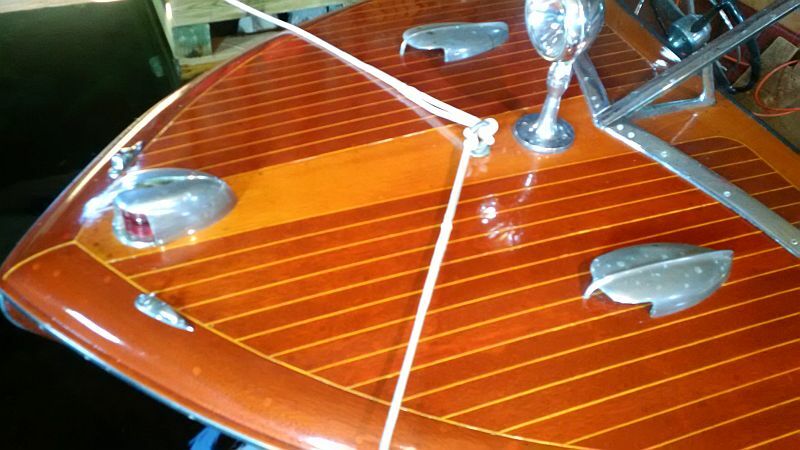 Last year a fresh coat of copper bottom paint was applied to the hull. The Chris-Craft seats four or five comfortably and handles the ‘big water’ of Georgian Bay. 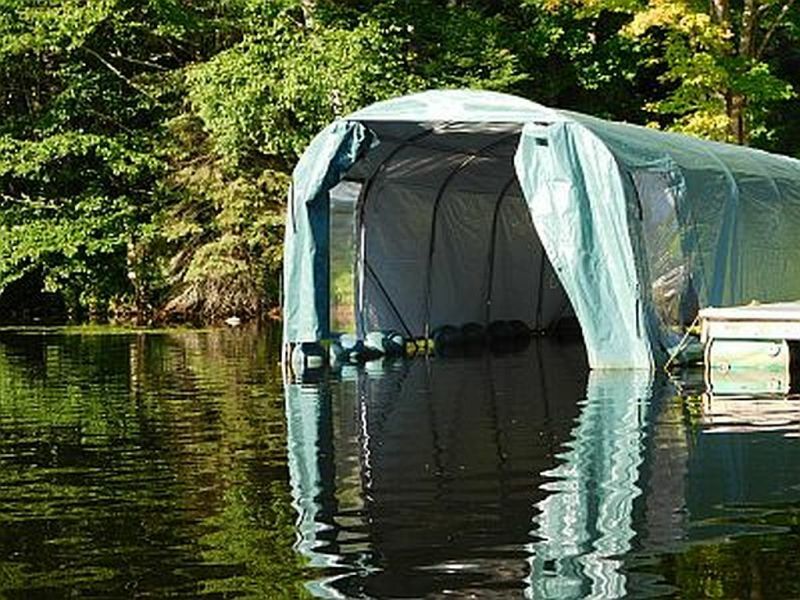 The sale includes four life jackets and a safety kit. Located in the Huntsville area. Weighs 240 lbs. Supported by spherical floats. Zippered entrances on either side. Can be closed off at the front. Good height for most watercraft. 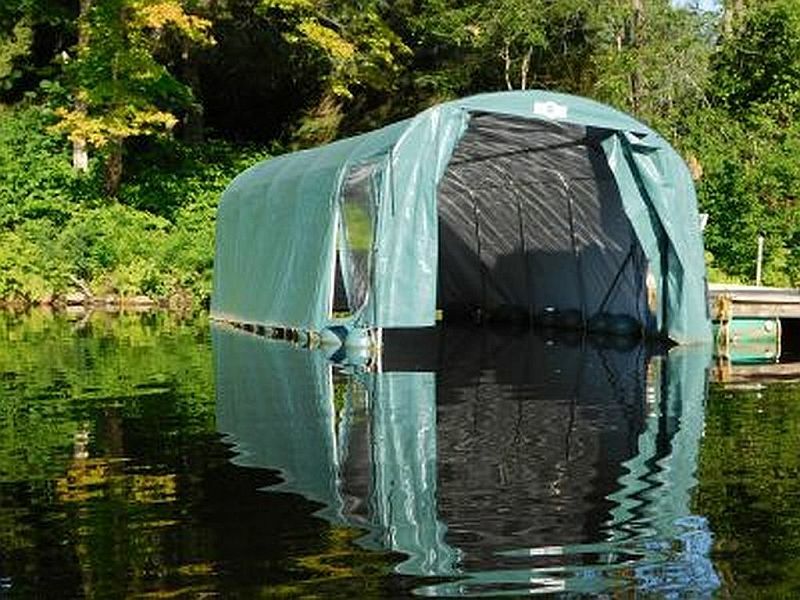 I have sold my boat so the boathouse is no longer of use.